Felicity is a London-based comedian, actor, writer and knucklehead. Born in a small town just a podcast north of Sydney, Australia, she started stand up in 2008...when she was three years old. 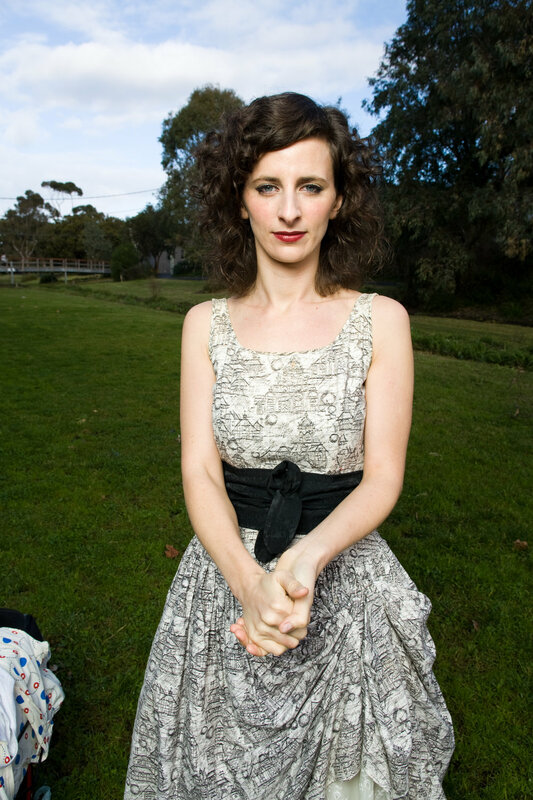 Her first show Felicity Ward's Ugly As a Child Variety Show won Best Newcomer at the Melbourne Fringe Festival 2008, and was nominated for Best Newcomer - Melbourne International Comedy Festival 2009. It could only go downhill from there. Her second show Felicity Ward reads from the Book of Moron was titled a full 18 months prior to the much more successful and unrelated Broadway musical Book of Mormon, although many still asked beforehand if her show would include some religious material. They were disappointed. She has done other stuff since then but she'll put it somewhere else on the website so the drivel of accolades is broken up. Photos by Andy Hollingworth (Home Page/Contact Page), Steve Ullathorne (Gallery) and James Penlidis (Gigs Page/Gallery). My special is up on Netflix uk & ireland here, as part of the "live from the bbc" series, if you want to watch an hour of this guy.